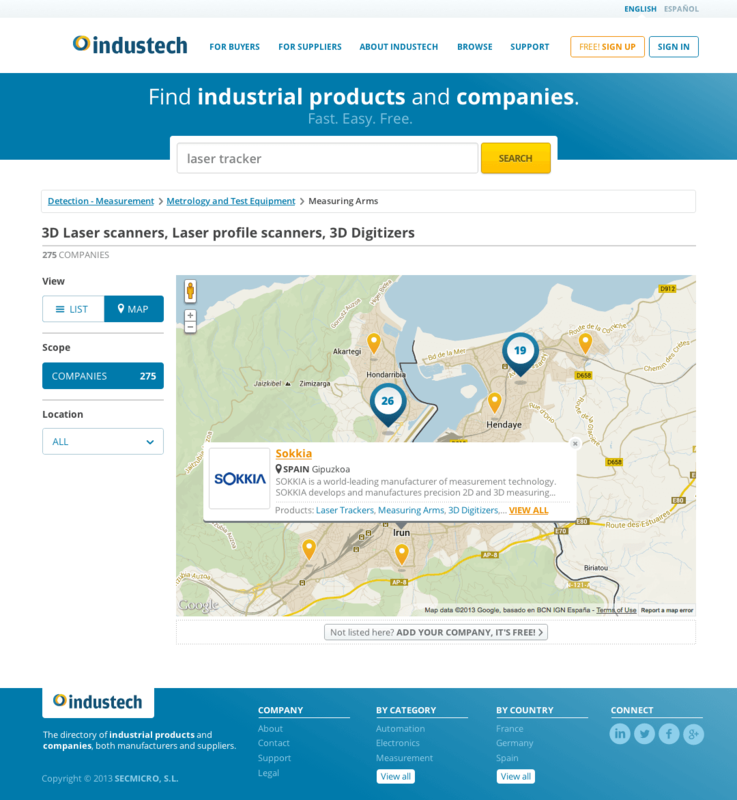 A modern platform for industrial products buyers, suppliers and manufacturers. 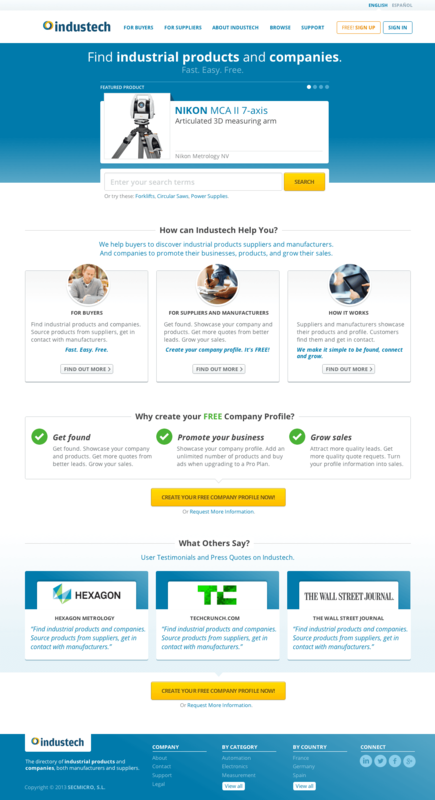 I was responsible for the project analysis, prototyping and design. 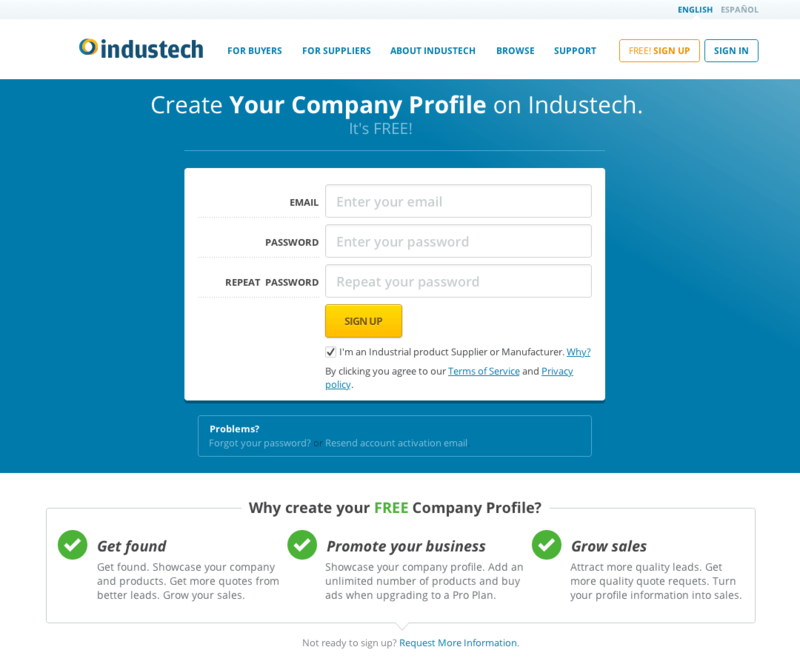 I also designed the Industech logo. 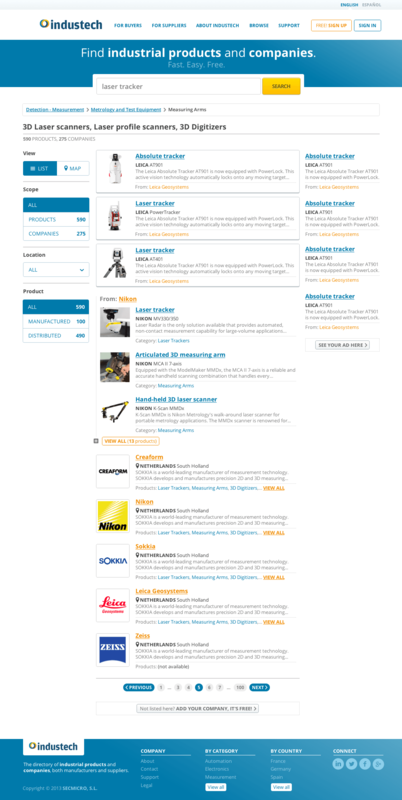 Search, Featured products and Service highlights. 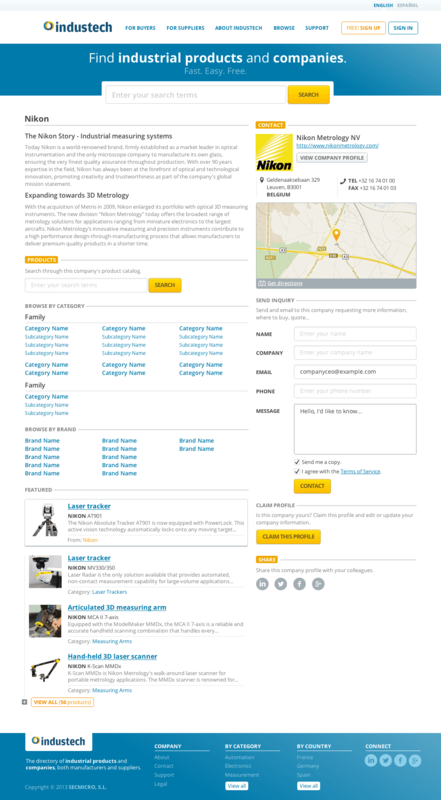 Map view of Search results. 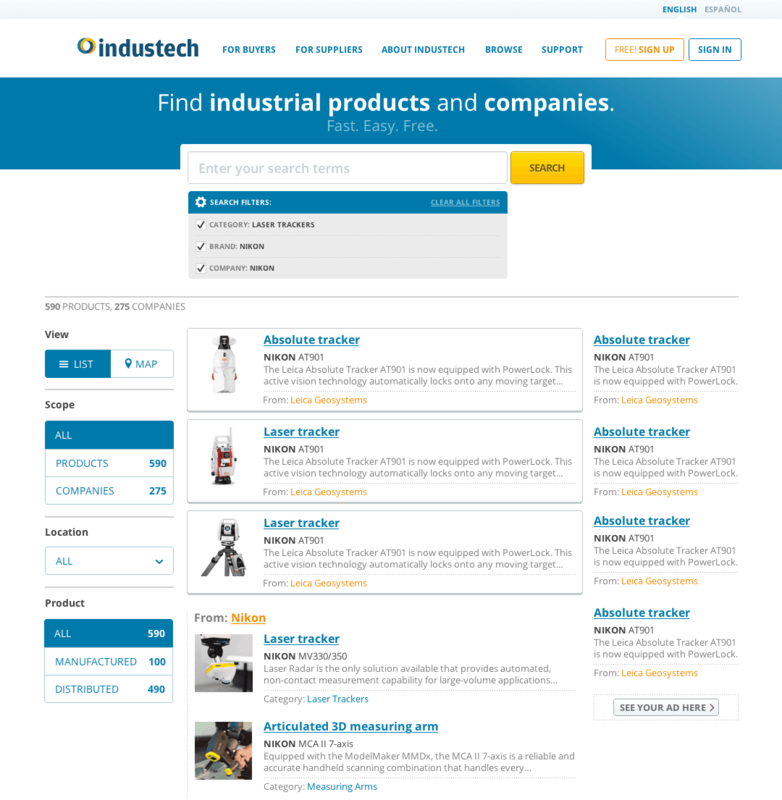 Product details, Contact, Related products and searches. 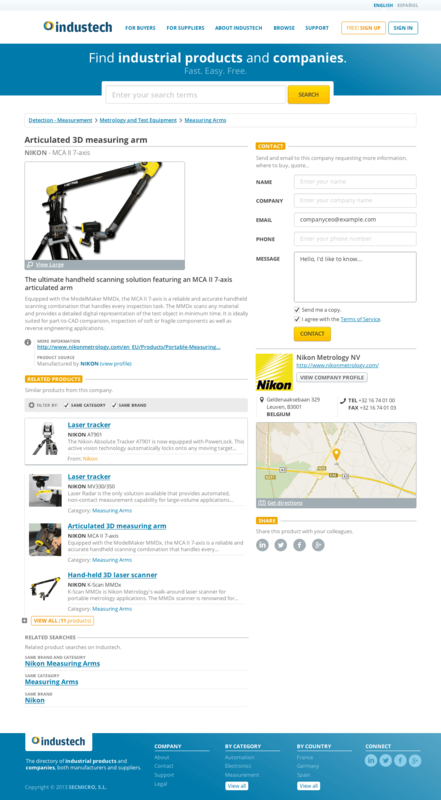 Company profile, Product catalog and Contact. About us and Service overview. 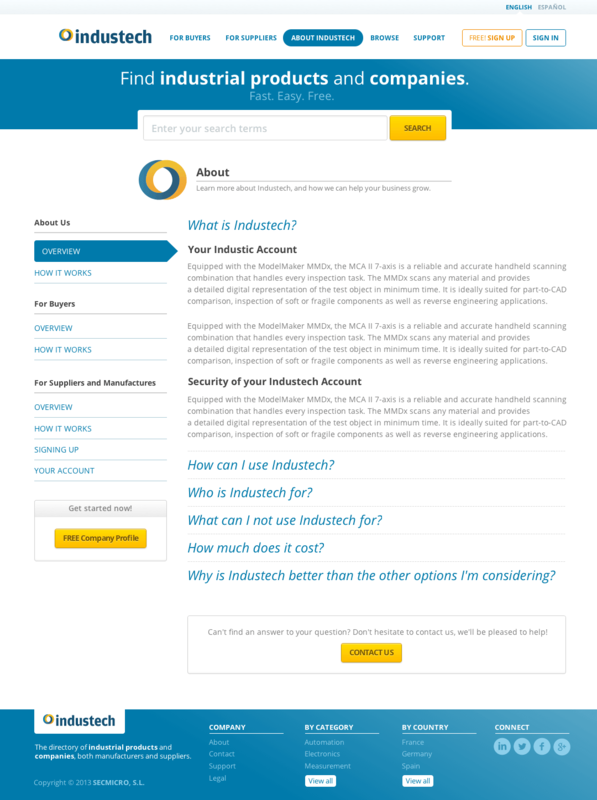 Sign up form and Password recovery help. This project was carried out in mid 2013. Unfortunately, the project has been discontinued. The logo was designed in Adobe Illustrator, whereas the site was designed in Antetype.